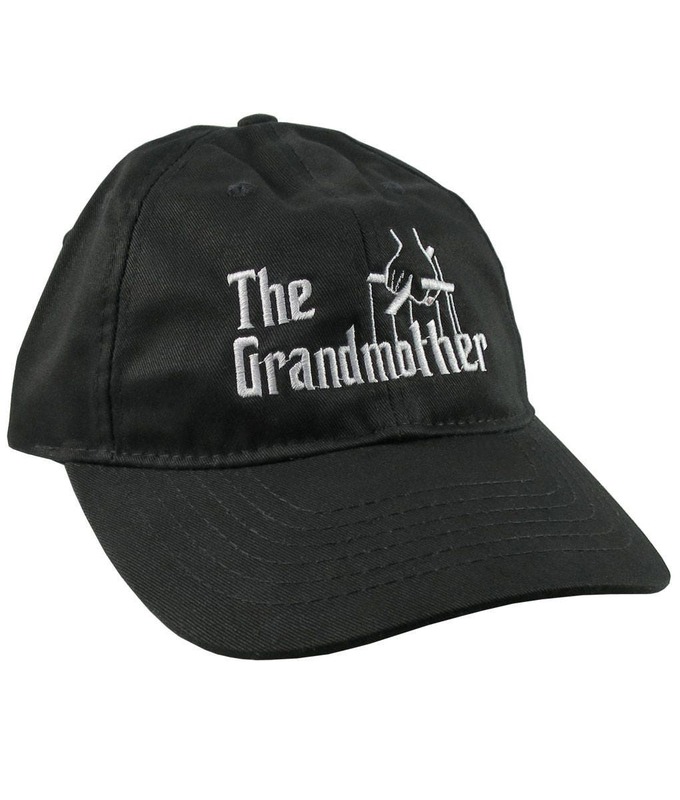 “The Grandparents Deal”; a typographic headline graphic inspired from the classic mob movie. 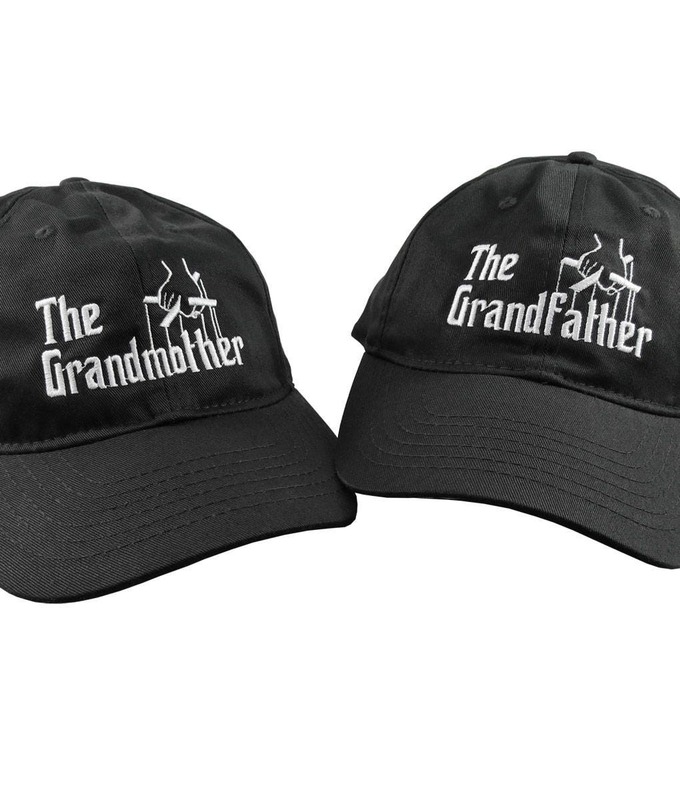 The Grandmother and The Grandfather designs are offered for sale as a pair. 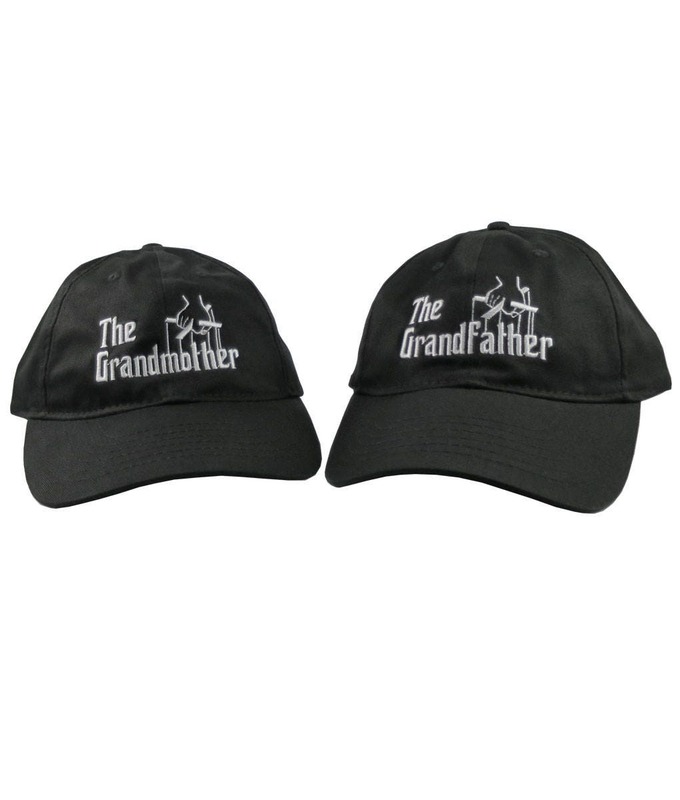 You get 2 hats for this price. 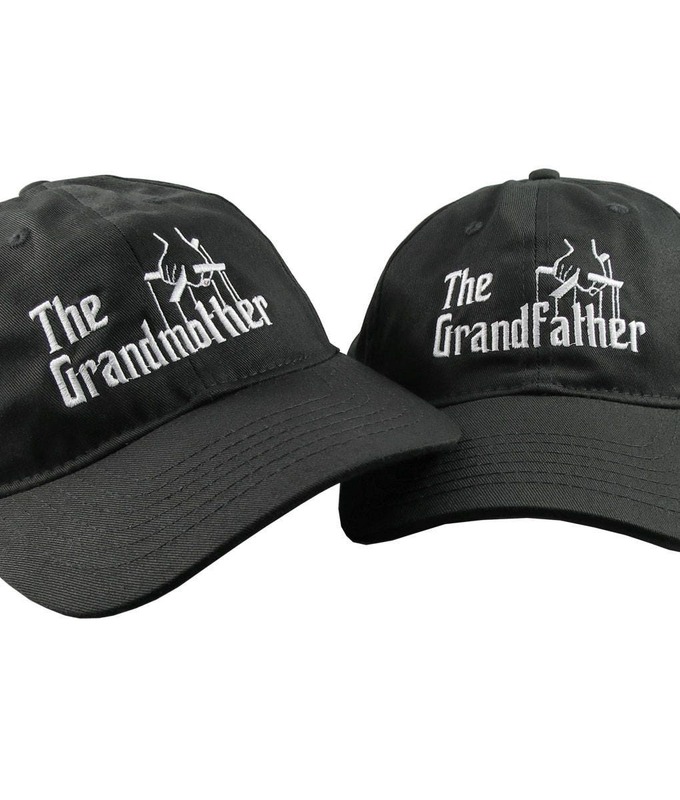 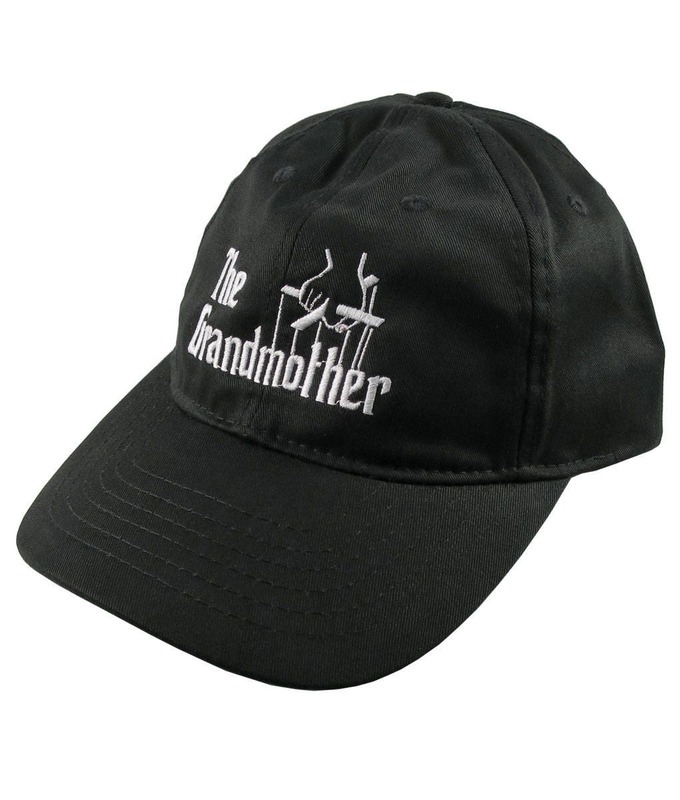 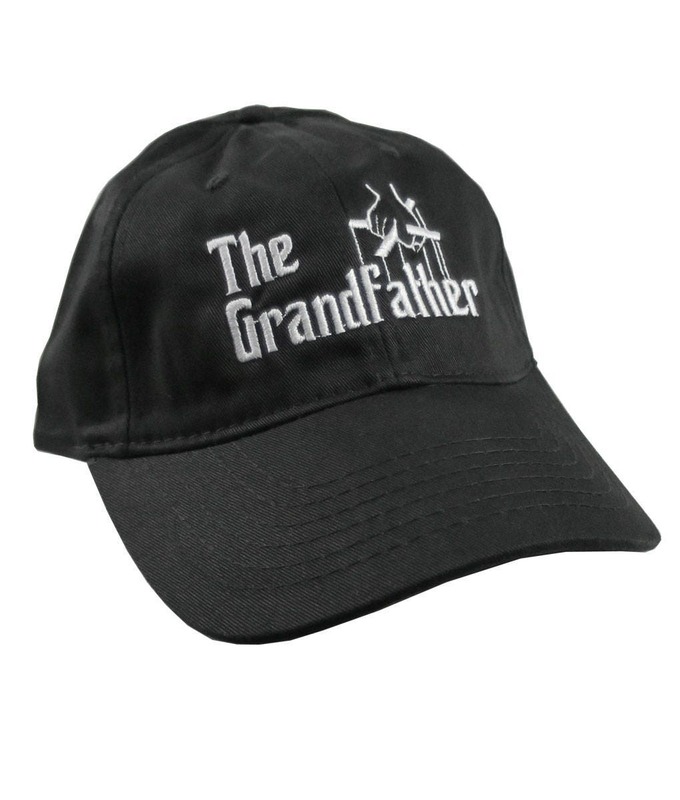 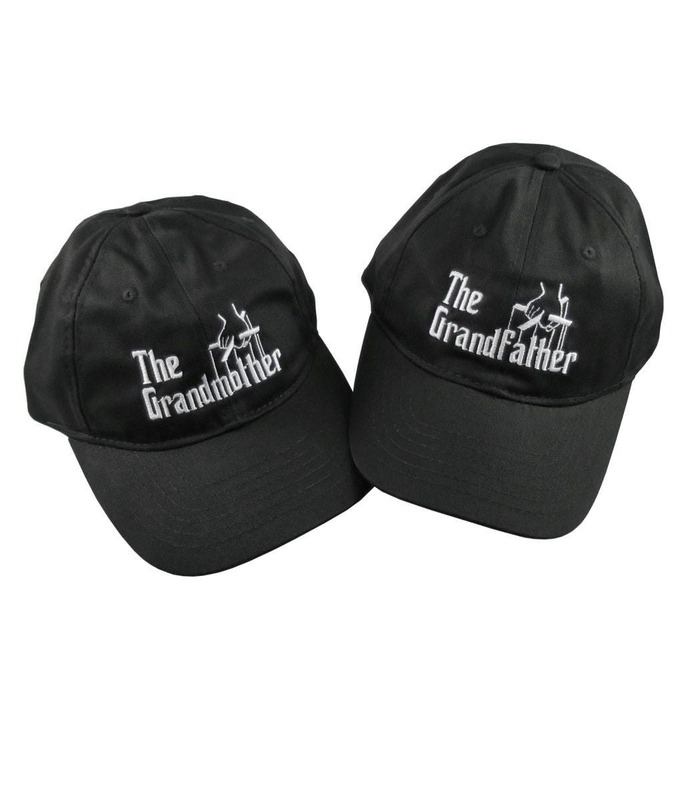 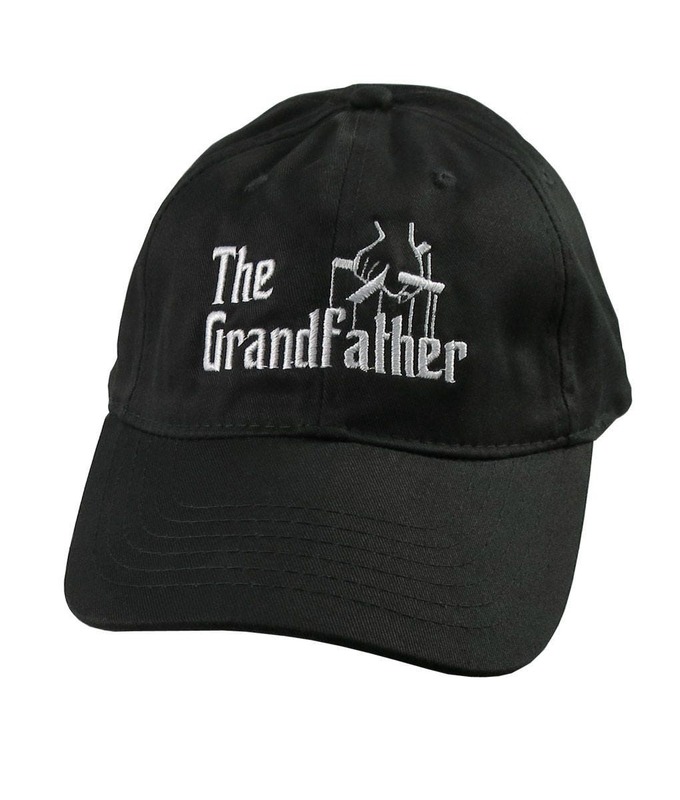 These black 100% cotton low profile baseball caps represent an excellent value for casual wear and for gift giving occasions with a humorous touch.